When I grew up in small Lumberton, NC, racial barriers were very much a part of daily life. When it came to exercising our rights, including our right to vote, minorities faced countless obstacles – from actually getting to the polls to overcoming discriminatory requirements to cast a ballot. With a tremendously important Election Day just weeks away, it’s essential that we remember a landmark event that took place little more than a half-century ago. On August 7, 1965, President Lyndon Johnson signed the Voting Rights Act of 1965, a law aimed at eliminating the legal barriers that prevented African-Americans from exercising their right to vote. Unfortunately, despite the passage of more than five decades, obstacles remain an issue today. Here are several particularly troubling ones. I have vivid memories of my mother struggling to drag me and my eight siblings to the nearest polling station so she could vote. For minorities like our family back then, this process meant walking – there were no transportation services to get folks to the polls and bus fare for a large family could be better spent on other things. While most people today can simply drive to the nearest voting location, many minorities still face difficult challenges getting to the places where they can exercise their right to vote. For minorities to still face such obstacles a decade after the election of our first African-American president is disheartening, to say the least. This is most evident when examining the reasons given by non-voters, especially those lower down the socioeconomic ladder. 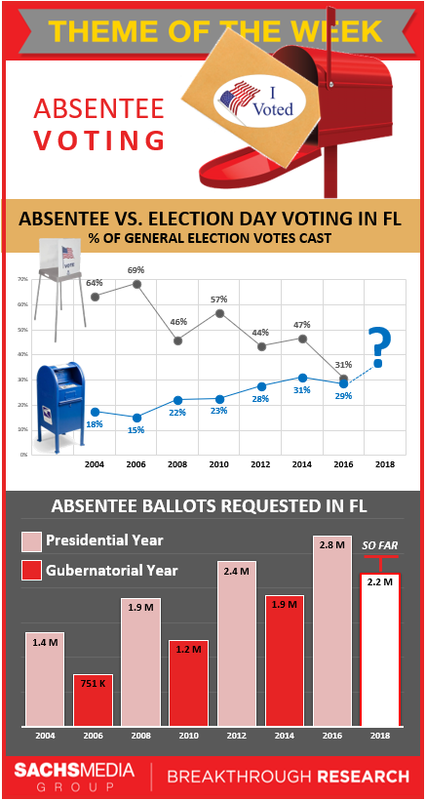 A 2014 article in The Atlantic, detailing a Caltech/MIT survey, reported that “Black and Hispanic citizens, for whom the poverty rate is close to three times that of whites, were more than three times as likely as whites to not receive requested absentee ballots.” This is particularly concerning in light of a recent finding by Sachs Media Group that absentee voting now accounts for almost the same portion of votes as in-person balloting. As an African-American male, discrimination is simply a reality of life. According to a large nationally representative survey last year, about one out of every five African-Americans felt discriminated against while trying to vote or participate in politics. The poll taxes once imposed in a flagrant attempt to keep blacks from voting may be gone, discarded as a relic of the bygone Jim Crow era, but institutionalized racism is still at play trying to hold down the minority vote. Florida, the nation’s largest political swing state, maintains the most restrictive laws to stop ex-felons from voting after they have paid their debt to society. Considering that blacks are horribly overrepresented in Florida’s prison population, it’s clear that the state’s cumbersome process serves no real purpose other than to hold down minority voting. You can read about ways overcome obstacles and make your voice heard in part two of this post. Overcoming Barriers: What’s Next for Minority Voters?